To anchor a ship to a single bay or history to a single source is foolish. Read the books written by Zechariah Sitchen starting with his first book, 'The 12 Planet". He was one of about 100 people that could read and write the ancient language of the Sumarians, cunniform. All the ancient cultures around the world tell of giants as their God or lord. 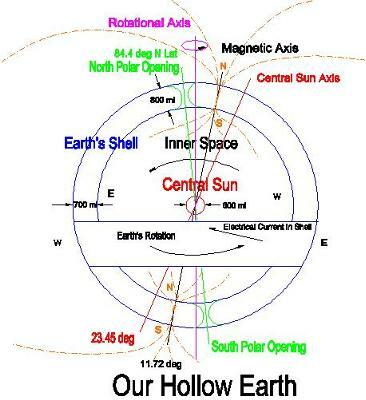 Perhaps you would look into the Hollow Earth Theory, the land of eternal day, Eden! Read 'Hollow Planets' by Jan Lamprecht. This is currently the Best historical and scientific book available today, short of duplicating Admiral Byrds flight into the Realm of Arrianni in 1947, as he was told by the Inner World inhabitants. Giants! We will never understand our ancient history until we step outside the box of our chains of ignorance and religious dogma." Religion is 'man' made", 'religerie' to bind back or tie down i.e. to control your beliefs, your life and your Soul. Are you a slave to whom? The True God of Creation is much too great for all the religerie's of Mortals, or Giants. Religion is a formula for never ending war and destruction until we rise above our narrow belief's to live by Universal principle's with Science that validates religion (historical accounts of a culture and belief's, time and geographical continent). Only then will we resolve this futile need to kill in the name of God and except each other as equals and step into a Golden age of compassion, reason and unconditional Love, will we then become what it means to Be Human and to be Civilized. End useless war and live in Peace, until the Real God of Creation returns and settles this matter once and for all. And for the sake of our children's, children's children, open your minds and hearts. The real God of Creation can only return AFTER all biblical prophecies are fulfilled. Persia/ Iran, Ezekiel 38:5, and her allies will attack Israel before God returns. Persian leaders are constantly threatening Israel these days. There will be a system controlling buying and selling throughout our world, Revelation 13:17, before God returns. October 24, 2011 the Vatican announced plans for a central world bank, controlling buying and selling throughout our world. The Jewish prophets have spoken the truth, but few people are listening. The Bible starts with Adam's creation. Adam was not a giant. The history of nations began after Noah's flood. Sumer, Egypt, India, China etc. 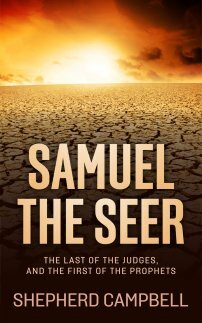 Peleg's birth = 0 year of civilization, when humanity leaves Sumer/Shinar to develop nations. Sumer, non-legendary history. Humanity leaves the Genesis 10:10 city of Babel. Accadian/Akkadian/ Agade empire then arises. 0-56 years Sargon/Nimrod reigns over Akkad. 80-120 years Naramsin, Nimrod's grandson, reigns Sumer poem reveals the Gutium had brought down his empire. Archaeologist Leonard Woolley gives the dates 91 years for Gutium, 7 years for Utu-Khegal and the 108 year old Abraham UR dynasty. 211-218 years Utu-Khegal, king over the Genesis 10:10 city of Erech, reigns over Sumer. 218-326 years Ur-Nammu's dynasty reigns over Sumer. Genesis 12:4 - Abraham is 75 when Terah, Genesis 11:32, is 205. Abraham is born in the 251st year after humanity left the Tower of Babel. Abraham is born in the prosperous Ur-Nammu dynasty when Dungi/Shulgi reigns. This is how we study ancient history. The Sumerian and Egyptian accounts of ancient history are highly legendary. Should we start there the tracing of mankind's history would be highly inaccurate.